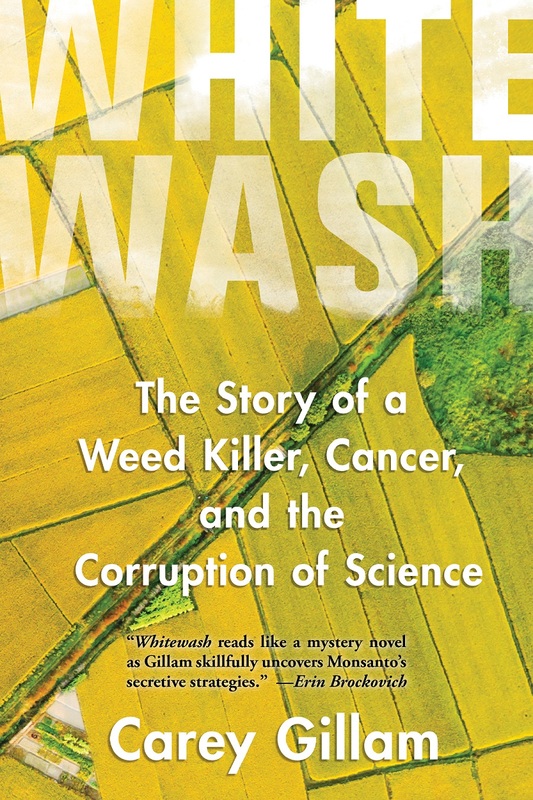 Fifty-five years after Rachel Carson’ Silent Spring awakened the world to unchecked pesticide use, “Whitewash” illustrates how deeply we have failed to heed that warning. To learn more Island Press, Emory Department of Environmental Health, Emory Department of Sustainability Initiatives, Environment Georgia, Georgia Organics and U.S. PIRG are hosting author Carey Gillam. For the past 20 years Carey has meticulously reported and researched the deceptions and disturbing details behind the spread of the world’s most popular pesticide: glyphosate, an active chemical ingredient in Monsanto’s Roundup. The Faculty/Staff Michael Street Parking Deck will be available for guests free of charge. The Michael Street Deck entrance to use is on Rollins Way, directly across the street from the Claudia Nance Rollins Building. The lecture will take place in the Rollins Auditorium on the Plaza (entry) Level. Or, take MARTA bus #6 from the Lindbergh or Inman Park Station.